Well it looks set to be another wet, wild and windy Saturday today doesn't it and for me, it's one which involves the Hubby working all morning and then the boys disappearing off to rugby for most of the afternoon. Well my garden is looking hideous right now, what with the aftermath of our kitchen change up flung across it, only made worse by the never ending stormy winds, so maybe a clean up of this later? The makings of a glamorous Saturday it aint and I've decided I am in desperate need of a holiday. Somewhere hot, sunny and beach filled would be preferable but (as I say every year), maybe next year. Until then, well I'll make the most of staying here in the UK. 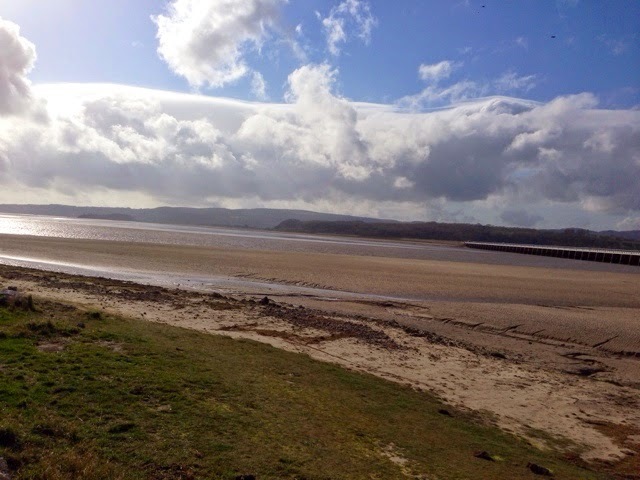 I've made no secret of my love for a good old UK 'Staycation' before and this year we are doing it again - I've looked at hotels, country lodges, glamping sites but we've decided that no matter where we stay we want to be as close to the seaside as possible. I mean, yes, being close to the coast means the weather will more than likely be colder than it is at home and being in the UK we will no doubt see rain at some point, but none of that matters because we will be away - away from work, away from sports commitments, away from cleaning - and that sounds like a little slice of heaven to me right now. But what are we planning on doing? ...in fact, I plan on ordering the book before we go away, just so Charlie can read it and then will get the full Whitby experience too. ~ I'm certainly going to be reliving my youth by going a little 2p-slot-machine-crazy - it just has to be done at the seaside doesn't it. ~ But so does stuffing the face with delicious seaside donuts...I mean are you even on holiday if you don't do this? ~ I also want to read at least one book throughout my week away - I couldn't go on a holiday and not at least attempt this - however now that I have two children to be keeping amused and entertained any sit-back-relax-and-chill moments of my own may be somewhat limited - but rest assured, I will be trying. Exploring, taking in the lovely sights - it is just perfect holiday material if you ask me. But by far, the most important aspect of any holiday for myself and my family - no matter if we are in the UK or abroad - will be to make sure that our two lovely kiddies make some magical, fun and exciting memories. After all holidays and childhood are the perfect combination. I know I like to get away whenever I can, but in truth, UK staycations are some of my favourite holidays!